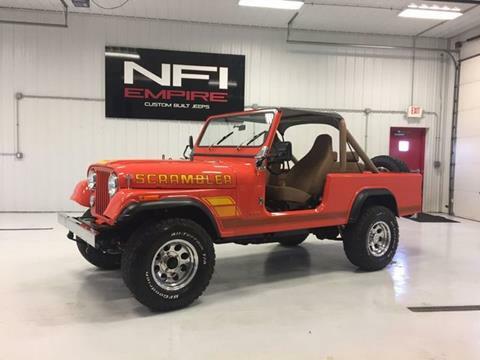 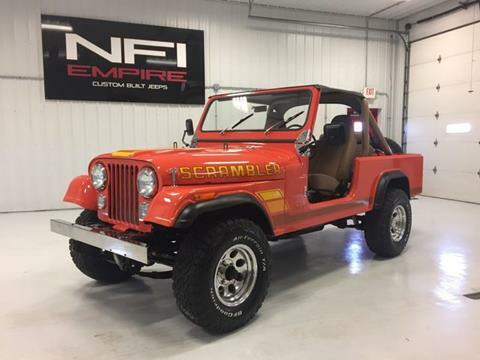 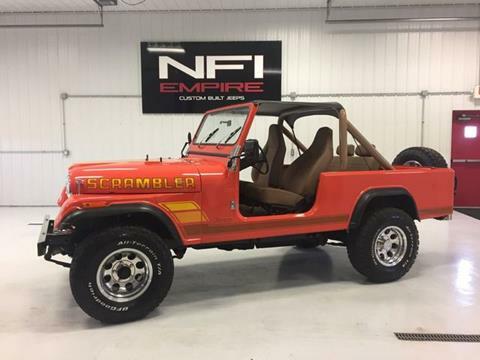 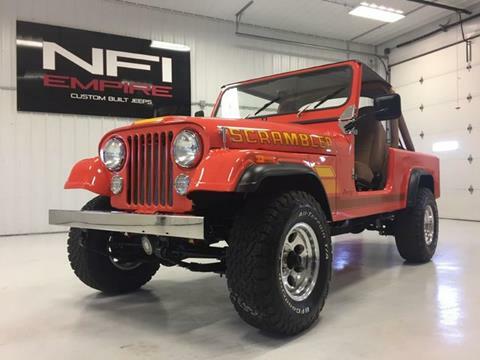 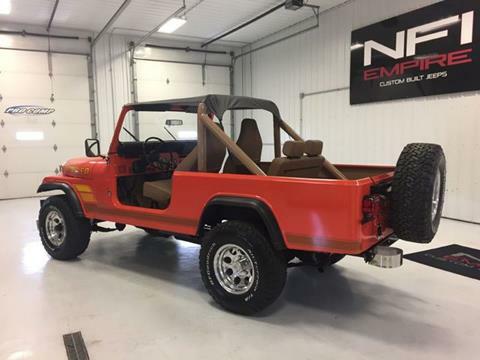 A 1982 CJ-8 Scrambler! 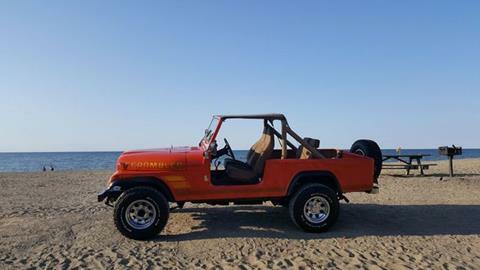 Consignment Vehicle. 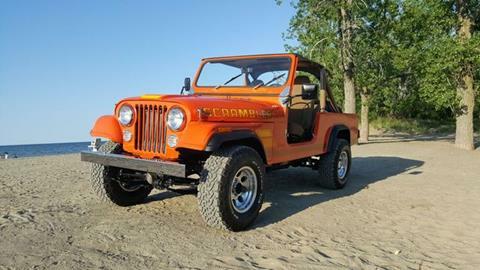 If you know anything about these, you know they are extremely rare and in extreme demand. 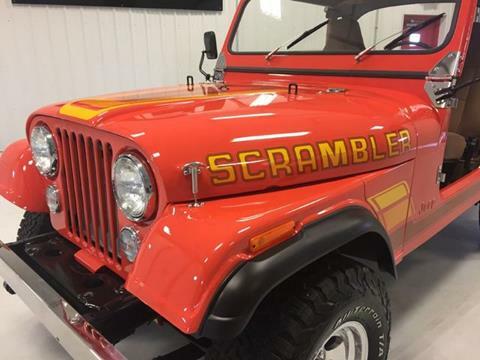 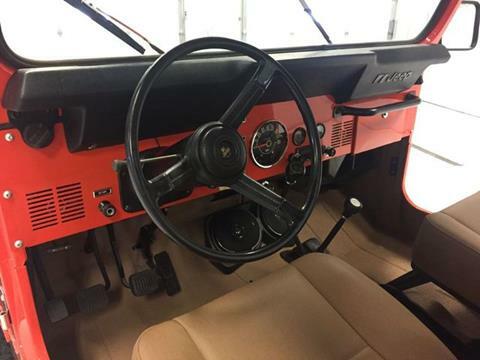 The Scrambler is similar to the CJ-7 but has a longer wheel base allowing the use of a bed in the back. 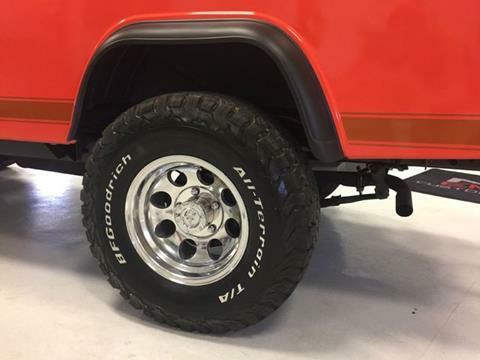 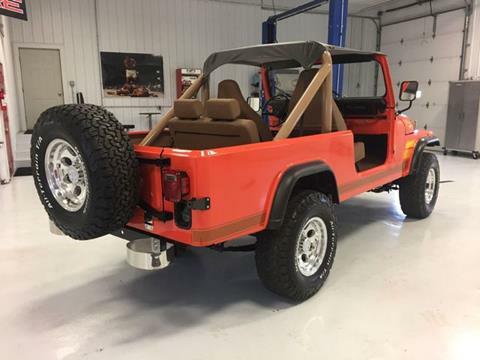 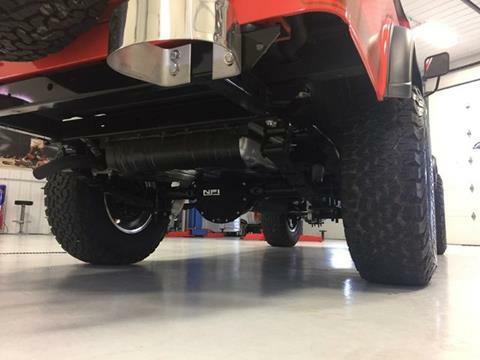 You may be familiar with the new wrangler BRUTE conversions, this is what started it all! 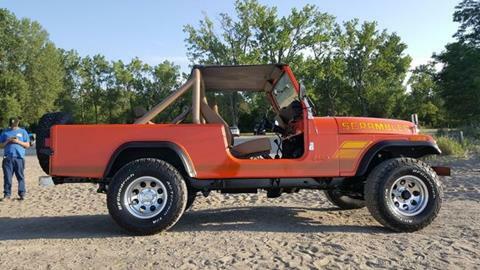 The first thing that you will notice is the color, Sunburst Orange! 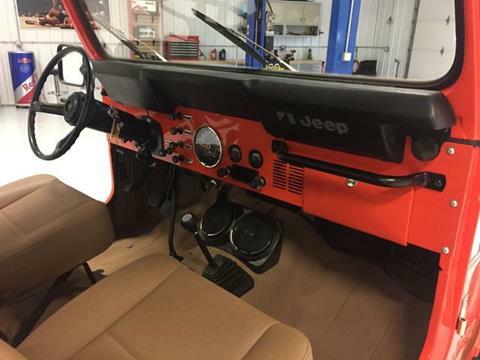 We used OEM decals from Phoenix Graphics and all of the stainless accessories were provided from Kentrol. 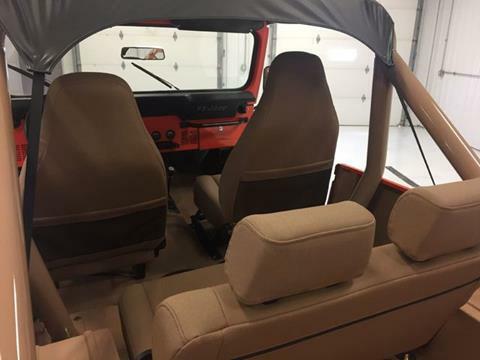 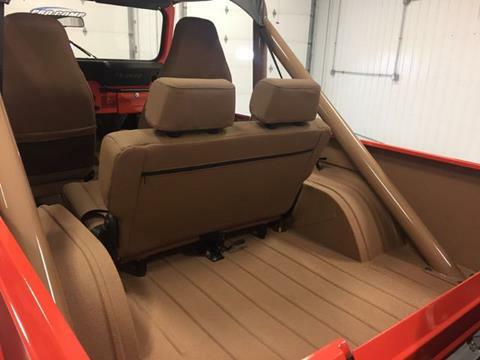 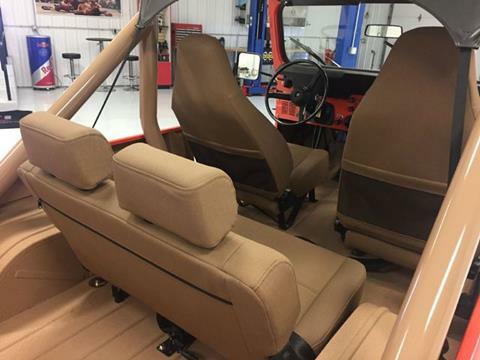 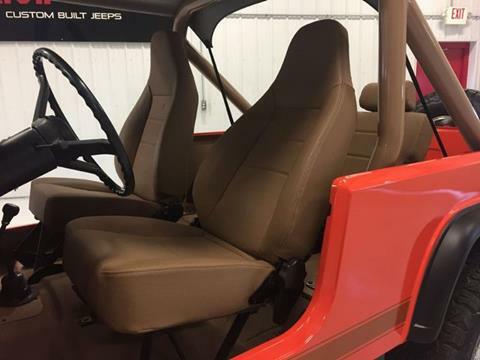 The cockpit is all new Bestop seating and we used our own proprietary liner on the floors and roll cage to provide a rugged and clean look. 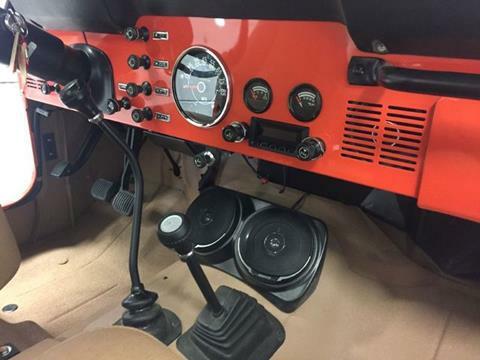 A new dash from 4 wheel parts and we used a Retro Sound Blu-Tooth stereo and Fo-Cal speakers in both the dash and center speaker pod. 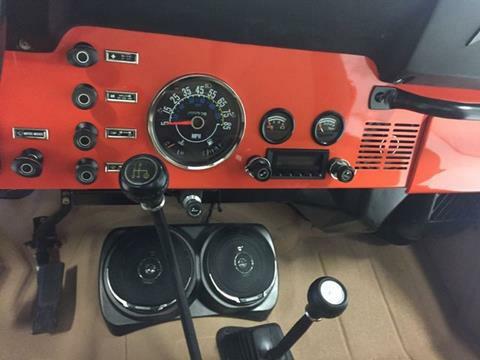 All of the gauges are new from Omix-Ada along with a new wiring harness from Painless Performance. 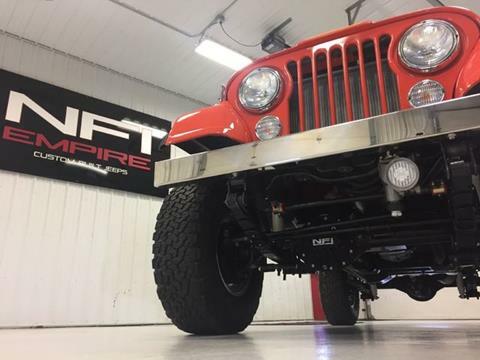 This Jeep is sitting perfect on a set of 31inch BFG KO2 tires. 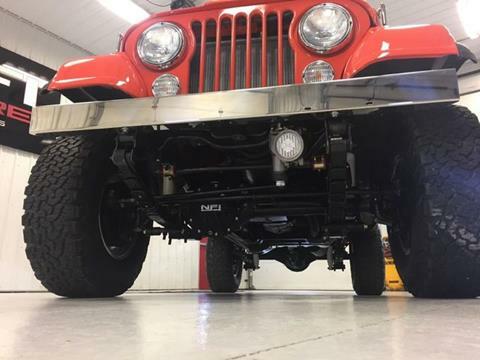 We also used ProComp Aluminum wheels and a full ProComp Suspension kit.The engine is the original 258 Cubic inch straight 6, with 40,000 over. 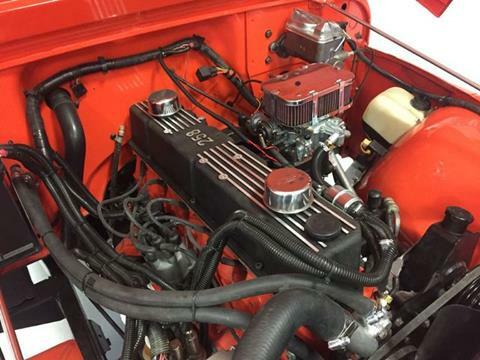 We also did a a custom comp cams extreme energy camshaft for a little more performance. 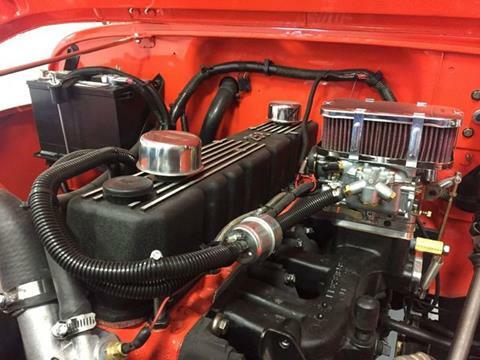 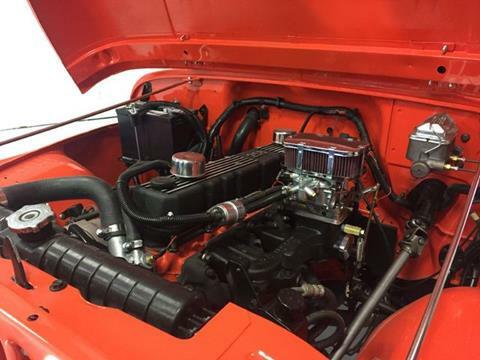 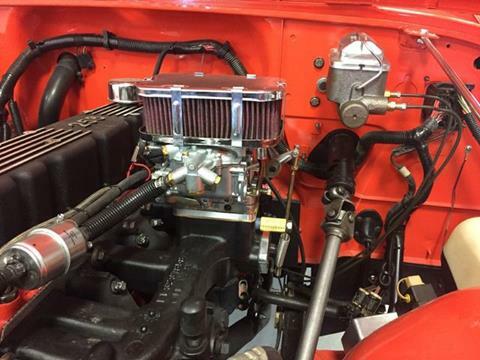 It has a Thirty Two Thirty six Weber carb and a ported factory intake. 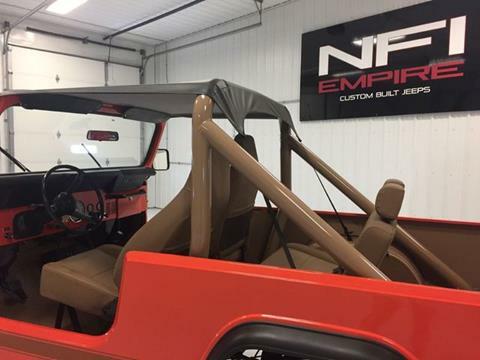 At NFI Empire, we do not overlook a single detail; that attention to detail can be seen in all our builds. 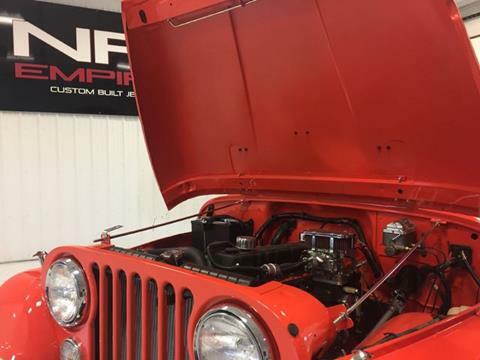 Follow each build or restoration and you will see the process from beginning to end. 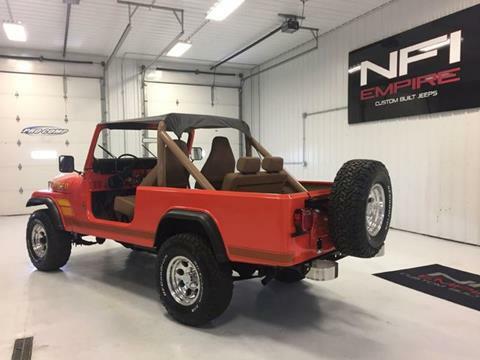 We treat every restoration like it is our own vehicle.